As with any politician, Carly Fiorina's policies aren't for everyone — but the candidate isn't entirely polarizing, and there are actually some pretty great Fiorina quotes on leadership that manage to transcend party lines and hold some wisdom for everyone. Her leadership experience is one of her greatest assets in the 2016 presidential race. While some voters might be questioning front-runner Donald Trump's ability to lead the nation, Fiorina's capability is — for the most part — accepted. And for good reason — the candidate has a long history of leadership positions. Fiorina served as an executive at AT&T before becoming the CEO of Hewlett-Packard, though she was later fired from the position. In 2004 she was named as one of Forbes' 100 Most Powerful Women. Although she's relatively new to the political sphere, she's done a lot since getting in the game. Fiorina was a campaign adviser to John McCain in 2008 and served as the vice chairwoman of The National Republican Senatorial Committee. Fiorina is clearly used to being in positions of power and leadership, so it's no wonder that she's built up some wisdom over the years. But what's more important is that Fiorina's statements on leadership reflect the kind of leader she could be. 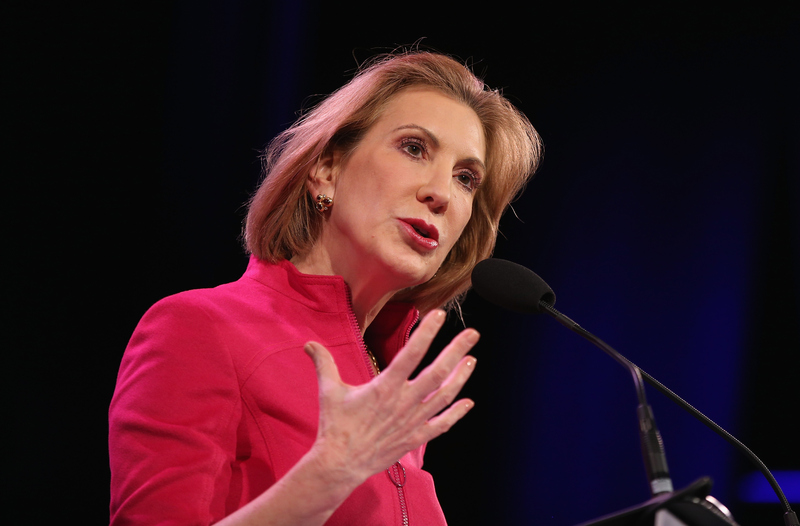 Whether you're a Fiorina fan or not, there are definitely some lessons to be learned from her thoughts on leadership. Leadership is not the same is management. Management is about doing the best you can within the status quo. Leadership is about changing the status quo when it needs changing. Leadership ... is not about position, power or title. It's about unlocking the potential of others. The hard truth about leadership and success is that it can never be taken for granted. It must always be invested in. Leadership is not about a title, degree or level. Anybody can lead at any time. Distilling truth from overwhelming amounts of information is the essence of leadership. I think leadership of any kind requires trust and transparency and voters should demand no less from their political leadership in government. As Fiorina continues to rise in the polls, Americans are learning more and more about the dark horse candidate. And although she may not be popular on both sides of the aisle, there is no denying her impressive resume — and she's got some good advice for the future leaders of America.